Now Don Nicholas, author of Digital Magazine Publishing: Creating Digital Magazines in a Tablet Magazine Publishing World and Multiplatform Publishing Strategy: 60 Digital Publishing Secrets for Making Millions Online, has just published another handbook, this one written to help any publisher master subscription website publishing and join other publishers who follow Nicholas’ advice in making millions online. All of handbooks can be downloaded for free. 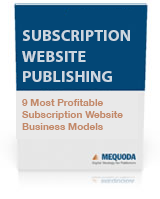 Subscription Website Publishing: The 9 Most Profitable Subscription Website Business Models helps publishers determine the best business model for their content, as well as showing them how to create, price, organize and optimize content for publishing success. In addition, readers will learn how to build brand loyalty, market a subscription website and measure success. In short, the book delivers everything any publisher must know to succeed in subscription website publishing. Nicholas, a 35-year veteran of the magazine publishing industry, is in a unique position to write this book. 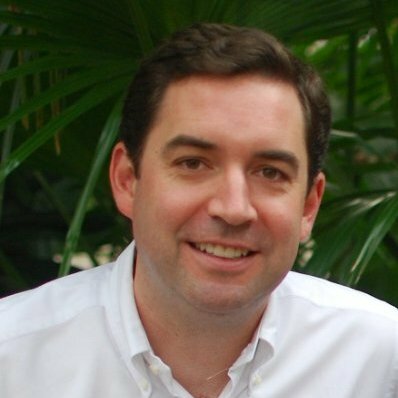 He has been researching and documenting subscription website publishing since 1997, and his consulting company,Mequoda Group, has guided the development of 110 successful niche media websites. Don and his team have built and maintained more than 48 systems in markets as diverse as investing, crafting, executive education, religion, travel, health and lifestyle. These websites all have specific purposes and distinct requirements. Subscription Website Publishing: The 9 Most Profitable Subscription Website Business Models painstakingly describes these website models, making it easier for niche publishers to launch their own sites, and understand how certain models work with the others to maximize traffic, engagement and revenues. Almost any content producer will find the right model to build on after reading this book. The book also includes Nicholas’ proven methods for driving traffic and building an audience, and explains the OMI, or online media index, that Nicholas created as a tool for measuring success in subscription website publishing. There’s even a chapter on common mistakes that subscription website publishers make. Finally, the book includes nine in-depth case studies of actual subscription websites, from TIME.com to EatingWell.com to CeramicArtsDaily.org, offering a slate of mentor sites that publishers can study across a wide range of media niches. This handbook is available free to anyone who subscribes to Mequoda’s free e-newsletter, which currently has 10,000+ existing subscribers. The newsletter is written to guide niche publishers in their daily efforts at subscription website publishing, digital magazine publishing, multiplatform publishing strategy and email strategy. A fourth handbook on email strategies is forthcoming. Tagged with best practices, consumer reports, content, creating digital magazines, digital magazine, Digital Magazine Publishing, digital magazines, digital publishing, email, free e newsletter, internet marketing, legacy publishers, magazine, magazine publishing, magazine publishing industry, magazines, managing editor, mary van doren, media, media websites, mequoda, mequoda method, multiplatform, multiplatform publishing, Multiplatform Publishing Strategy, newsletter, niche publishers, publishers, publishing executives, publishing industry, publishing secrets, publishing strategy, slate, subscription website, subscription website publishers, subscription website publishing, subscription websites, tablet, Website Business Models, Website Design Tools, website publishers, website publishing.